good morning friends... for those of you in the U.S. i hope you had a lovely Thanksgiving celebration. 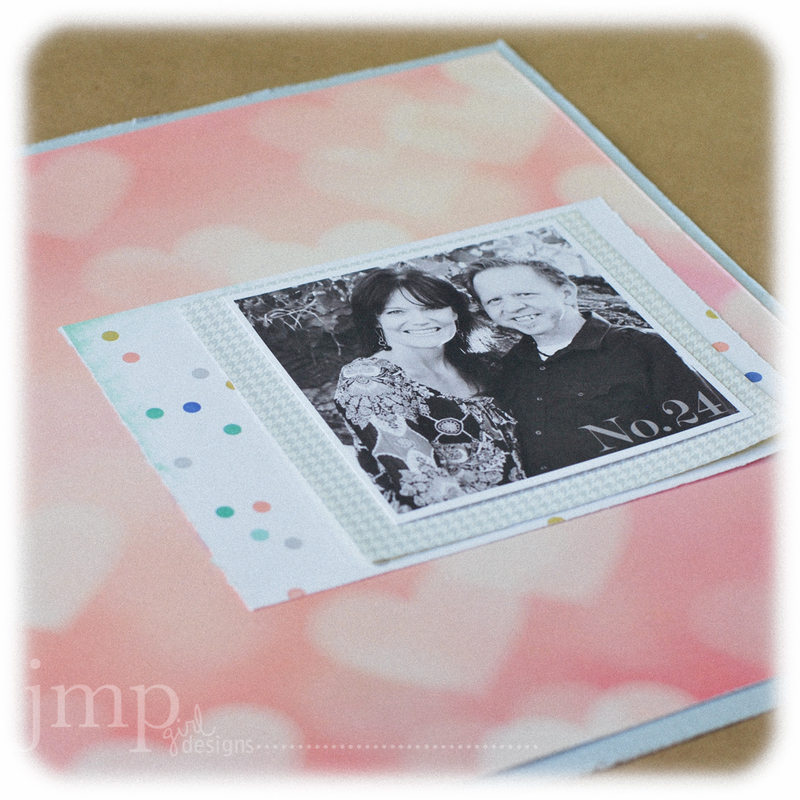 today i have the sweet pleasure of playing with the november kit from gossomer blue. have you heard of that kit company before? 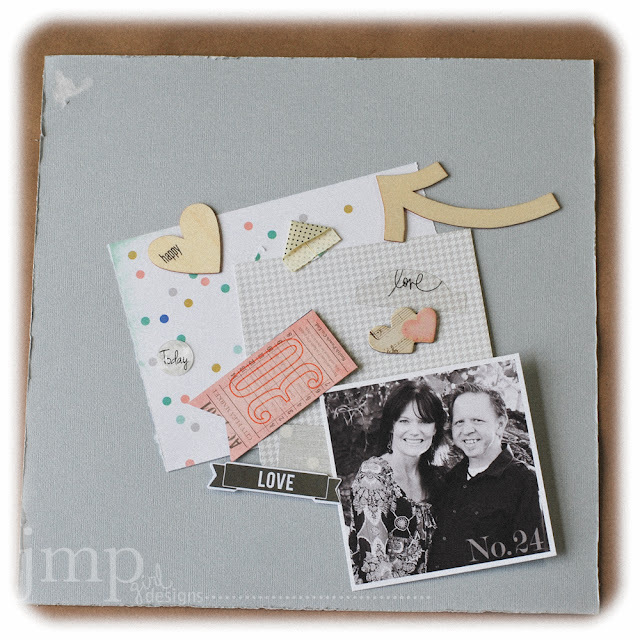 well they are a fabulous online scrapbook kit store and i am absolutely swooning over their kits for november. today i want to walk you through what i did to create my layout for their blog. this layout celebrates our 24th anniversary last month. it also reminds me of how few photos we had taken together this past year. with family and work and maintaining a home, we have found ourselves totally and terribly busy. and we sort of forgot to take care of each other. so this layout reminds me of some goals and plans i have for us this coming new year to make sure we do not only have a few photos of us together. the base starts with the American Craft card stock in stone, with the edges distressed. 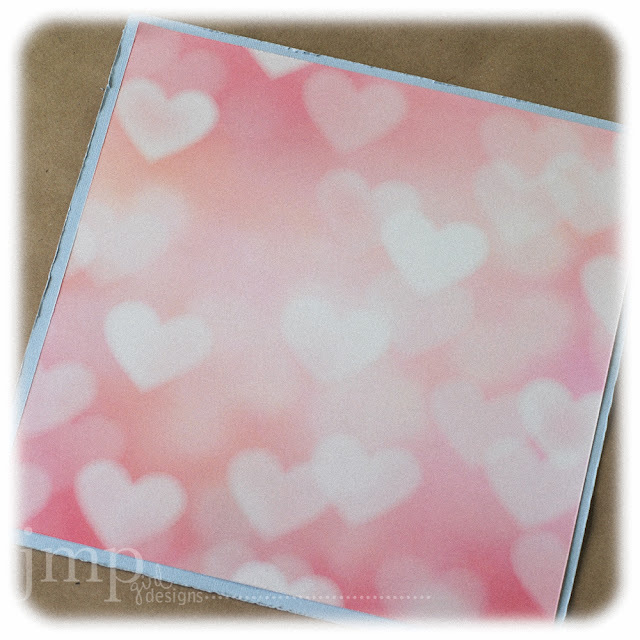 the Crate Paper Open Air is then trimmed to fit inside the card stock base, and is also distressed along the edges. the photo, measuring about 4 1/4 x 4 1/4 inches, is matted first on a piece of the Gossamer Blue On The Dot that is slightly larger than the photo, and then on a larger piece of the Heidi Swapp Bouquet that measures about 7x5 inches. 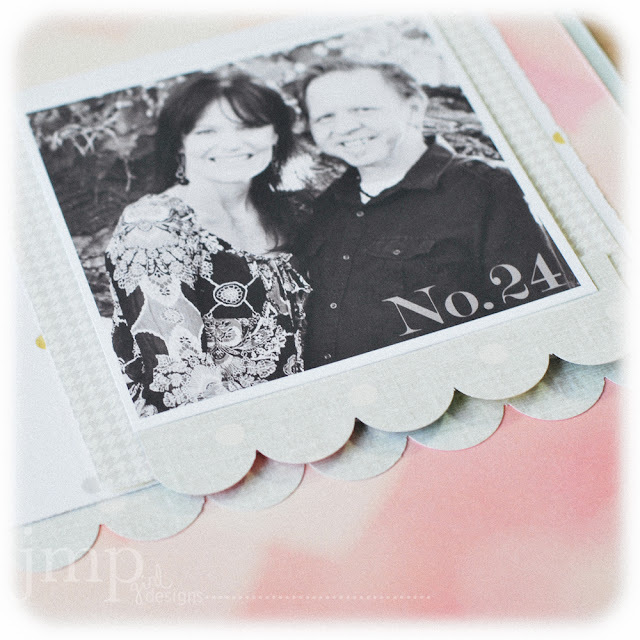 using a scallop punch the border was created from the Crate Paper Jenna. two strips were placed under the photo and the photo mat as shown. love how this gives some depth and contrast to the page. a Dear Lizzy Ribbon photo corner was placed on the top left of the photo as well as top left of the background paper. 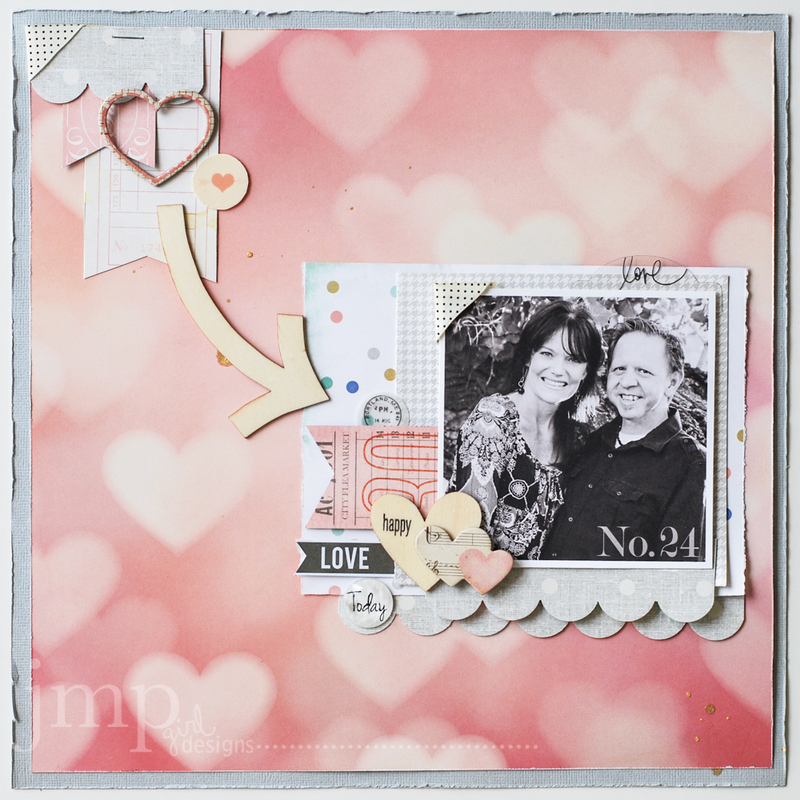 stamp 'happy' from the main kit stamp set on a Dear Lizzy wood veneer heart. 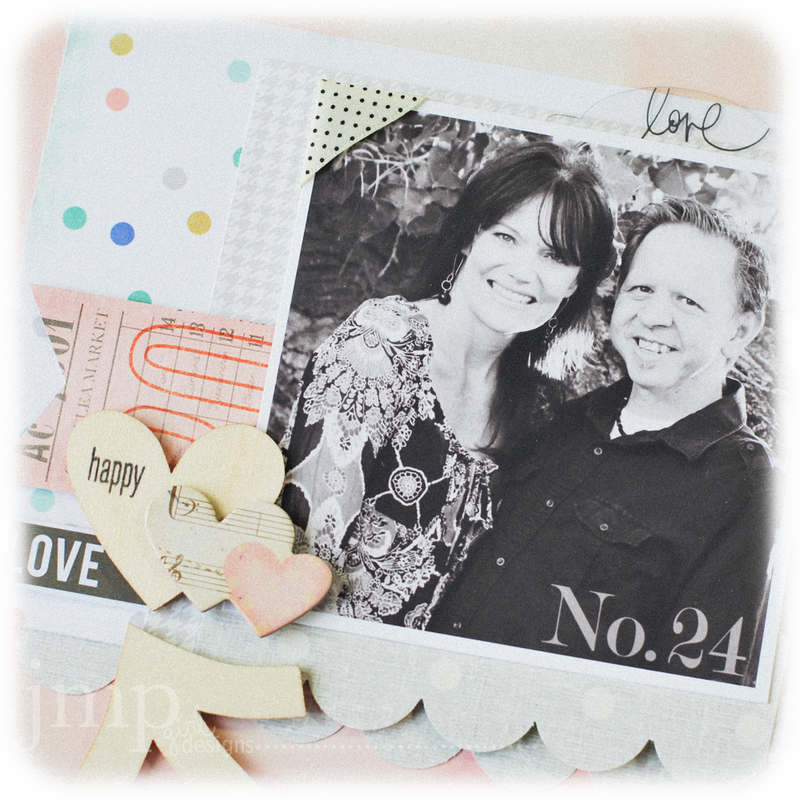 layer a Flea Market Chipboard heart over the veneer piece. 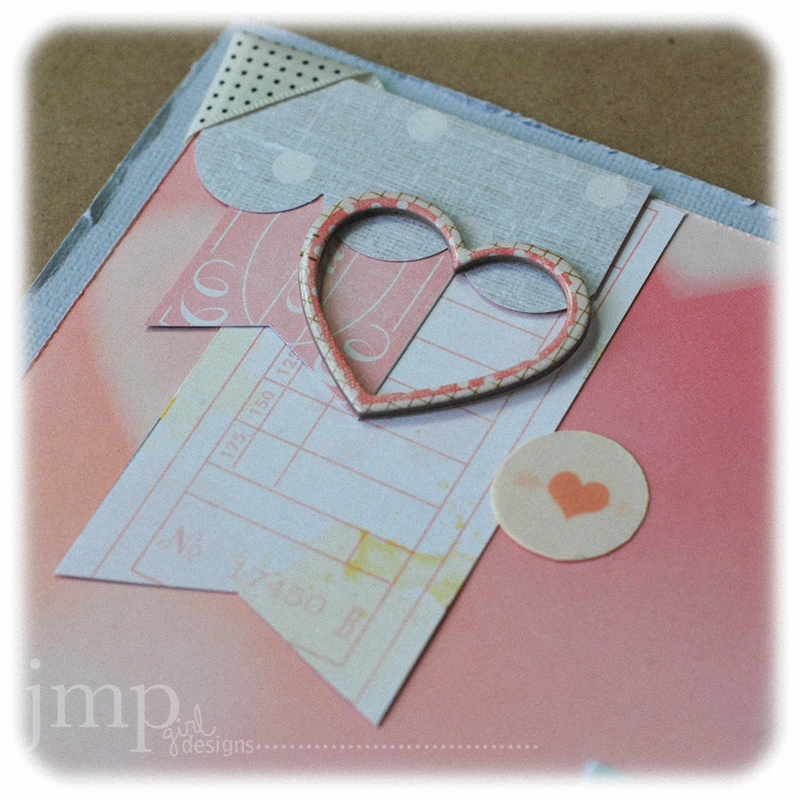 trim a tag from the Crate Paper Tag Sale, notch end, insert under heart embellishments. 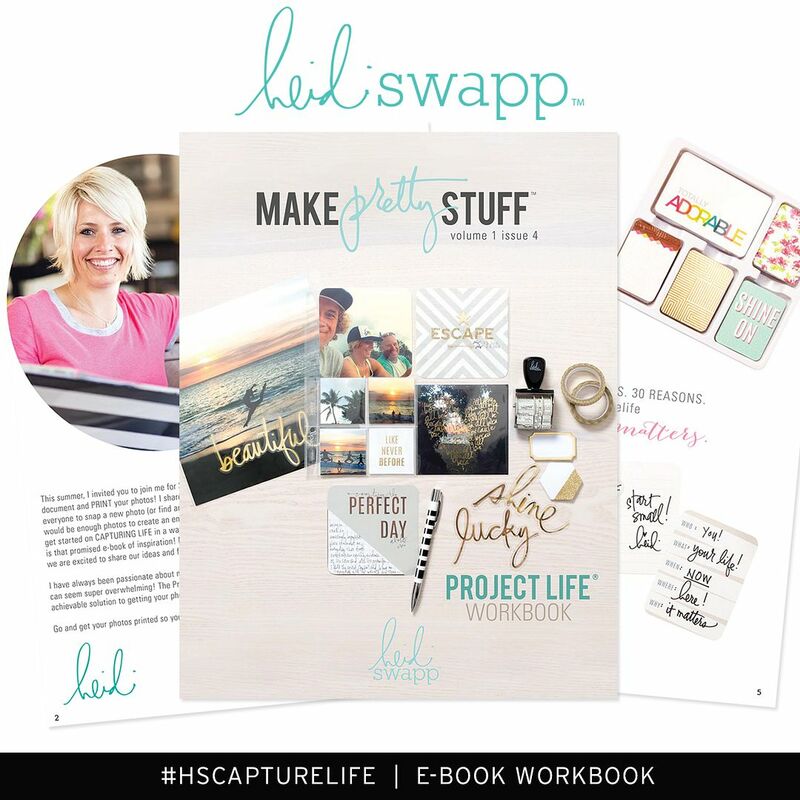 add a clear file tab from the Heidi Swapp Mixed Company Ephemera to the top edge of the photo. from that mix a 'love' tag was notched and tucked under in place. embellish upper corner with similar elements as around the photo. please go visit Gossamer and order this kit. it is gorgeous with some of the best products found out here right now, and you will find yourself inspired to make lots of pretty stuff. and as a bonus, visit both Gossamer Blue AND Heidi Swapp's blog to enter and win some of these more than fabulous products. I found/stumbled upon your awesome blog and love what you share. 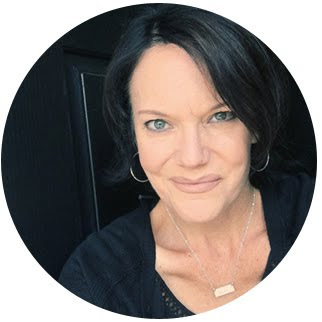 I saw your posts on OLW and want to talk more about them. I just read the One Thousand Gifts and it has changed me and excited me all at once. I couldn't find your email here, could you please email me at rikm@adelphia.net, would love to chat more about this book and my OLW for next year. Thanks so much! p.s. I love the tree idea below and will be doing this soon, I love decorating with paper.